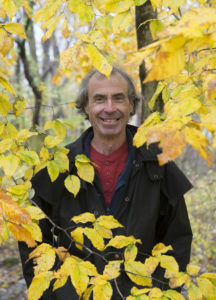 Lyt Wood has been a professional arborist, forester and educator in natural history subjects since 1974. He has a Bachelor of Science degree from Virginia Polytechnic Institute and State University in Forestry and Wildlife Management. From 1974 to 1981, he worked as County Forester with the Virginia Division of Forestry promoting forest management practices on private land in Madison and Rappahannock Counties. Since 1981 he has worked on various projects related to agriculture, tree care and natural history education: editor of the newsletter of the Virginia Association of Biological Farmers; manager of a 30-acre apple and peach orchard and 60 honeybee hives; educational and other support for the Nature Camp at Vesuvius, Virginia; and assistance with mapping and other projects for The Nature Conservancy. In the 1980’s he worked with the Piedmont Environmental Council’s Education Committee to establish a regional educational program, of which PEC’s Natural History Day Camps were a part. In 1986 he helped to establish Rapp Nature Camp which, under his direction, is still open to children each summer at his property on the Hazel River south of Sperryville. He is semi-retired as sole proprietor of Tree Works, specializing in all kinds of tree care. His personal interests include gardening and small-scale farming, wildlife watching, Goethean science, Waldorf education, songwriting and traditional music. Kat Habib is a Rapp Nature Camp neighbor who, before becoming Assistant Director in 2015, would annually look across the river during the camp session while on her walk, wondering what the campers were up to. She is delighted to be on this side of Singing Creek. Kat has made her home in Rappahannock since 2012, a life-long dream that began during her childhood over the mountain in Warren County. 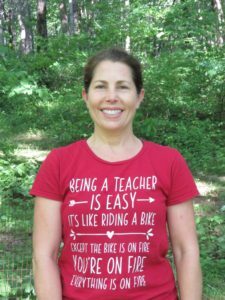 Growing up on a farm with an environmental scientist mother (a colleague of Lyt’s), soil quality and gardening, seine nets and river critters, art and song, were all part of every day conversation; she enjoys both remembering and sharing this with campers. Kat received a BFA from the Corcoran College of Art + Design, where she managed the ceramics studio for several years and taught in the Pre-College summer program. Now a ceramic artist, florist, and college and career guide with Headwaters Foundation, Kat is both an artist and an educator, each feeding the other within her. Much of her artistic inspiration comes from nature and observation. She especially likes birds, trees, walks in the woods and hearing from children what they see that adults may not. Nina Anderson has taught kindergarten for 12 years and is in her 5th year teaching 2nd grade in Fauquier County. She lives with her husband and Jenkins, “the best dog ever” in Old Town Warrenton. She has 2 adult daughters. One is a student at VCU and the other will graduate from VA Tech in December, 2018. Nina has been a life-long nature lover and has embraced the opportunity to participate in Rapp Nature Camp this past summer. As a youth, she attended Nature Camp in Vesuvius, VA. She is an avid hiker, runner, and reader. Rapp Nature Camp is another opportunity to be actively engaged with youth and the great outdoors. Melissa has been keeping small businesses and non-profits organized for over 25 years. A recent transplant to Madison County, she is setting roots at the base of Old Rag – a mountain she has been hiking since she moved to Virginia in the mid-1990s. 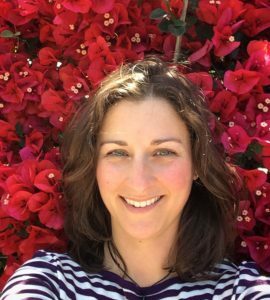 An avid backpacker, gardener, and photographer, Melissa’s fondest memories include watching tadpoles transform into frogs, silk worms metamorphize into moths, and singing songs at 4-H and nature camps in her home state of California. 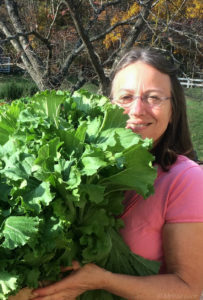 She is delighted to help young people connect to the magic power of nature and the wisdom of its seemingly chaotic order.